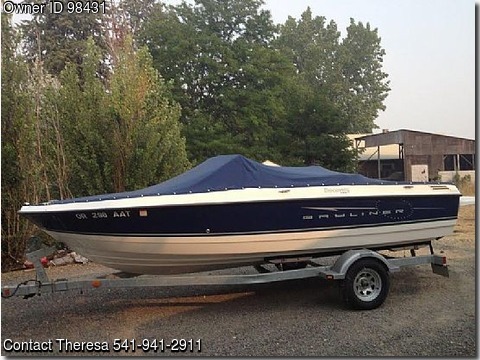 Please contact owner Theresa at 541-941-two nine one one. Boat is located in Central Point, Oregon. Bimini top, custom fit color match cover, full transom swim deck with ladder, dual battery, 22 gal bait tank, depth sounder, galvanized trailer, surge brakes, stereo. Rear seats convert to sun deck.